February is American Heart Month. Heart disease is the leading cause of death in the U.S. and responsible for approximately 25% of deaths nationwide. Although most people think of heart disease as a condition that mainly affects older people, it can occur at any age, and risk factors such as obesity and high blood pressure among young people puts them at risk for heart disease earlier in life. Learn what you can do to increase your heart health and help protect yourself and your loved ones from heart disease. The American Heart Association recommends that adults get at least 150 minutes of moderate aerobic exercise (such as brisk walking), 75 minutes of vigorous exercise, or a combination of these every week to lower the risk of heart disease. For kids aged 6–17, the target is much higher—60 minutes of exercise each day. However, only 1 in 5 adults in the U.S. gets sufficient physical exercise, and fewer than 5% of kids get the recommended hour per day (although close to half meet weekly activity goals). Don’t let the fact that most Americans don’t get nearly enough exercise discourage you. 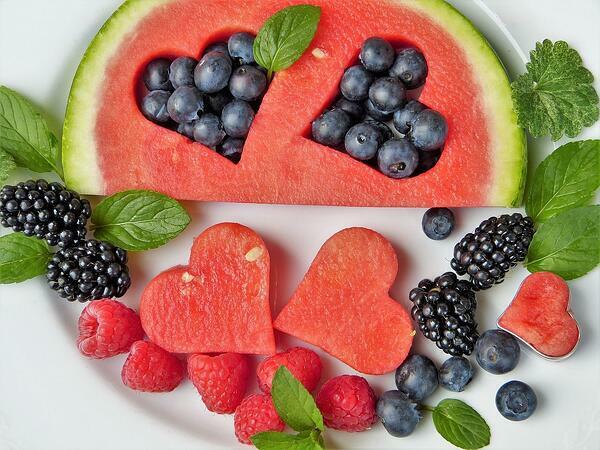 You don’t have to plan an exhausting workout routine to build a healthy heart. Just plan time to move your body in ways you enjoy on a regular basis. Whether you take walks by the river, roll out a yoga mat before work, take bike rides with the kids, or just dance around the house when no one is watching, by taking the time to move, you’ll build a healthier heart and help yourself feel better every day. High cholesterol is another primary risk factor for heart disease. Over time, LDL (“bad” cholesterol) in the blood contributes to the buildup of calcified plaque in the arteries, narrowing the path of blood flow and making the heart work harder. This process increases the chances of heart attack and stroke. Fortunately, many of the same strategies that help to manage blood pressure also help to keep cholesterol levels under control: exercise, healthy eating, limiting alcohol and caffeine, and avoiding tobacco. Tobacco smoking is among the top three risk factors for heart disease and the single leading cause of preventable death in the U.S. Smoking damages the blood vessels, increasing the risk of heart disease as well as a host of other illnesses, including many types of cancer, COPD, and diabetes. Understanding your risk of heart disease can help you take the steps necessary to protect your health. Have your blood pressure and cholesterol checked, and if one or both are high, talk to your doctor about how best to manage these conditions. If you have heart disease risk factors, you may benefit from CT cardiac calcium scoring. This is an imaging test that measures the amount of calcified plaque buildup in the coronary arteries. Based on this information, the patient is assigned a score, which correlates to a projected heart attack risk. For example, a score of 11 to 100 indicates moderate risk, and a score of more than 400 indicates high risk. If you’re concerned about your risk of heart disease, talk to your doctor about whether cardiac calcium scoring should be a part of your health care plan. Iowa Radiology performs CT cardiac calcium scoring with physician’s referral at our clinics in downtown Des Moines and Clive. In honor of American Heart Month, we’re offering this test for $69 in February and March. 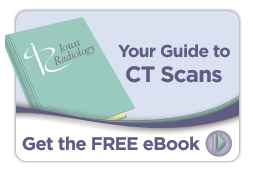 For more information about CT exams, including cardiac calcium scoring, click the link below to access our free ebook. "February—American Heart Month." Healthfinder.gov. U.S. Dept. of Health and Human Services, 17 April 2017. Accessed 2 Jan 2019. "How to Help Prevent Heart Disease At Any Age." Heart.org. American Heart Association, Accessed 2 Jan 2019. "Heart Disease: It Can Happen at Any Age." CDC.gov. Centers for Disease Control and Prevention, 12 Feb 2018. Accessed 2 Jan 2019. Pedersen. "More Than Half of US Kids Not Getting Enough Exercise." Physch Central, 3 Nov 2018. Accessed 2 Jan 2019. "10 ways to control high blood pressure without medication." MayoClinic.org. Mayo Foundation for Medical Education and Research, 10 April 2018. Accessed 2 Jan 2019. "Preventing High Cholesterol." CDC.gov. Centers for Disease Control and Prevention, 31 Oct 2017. Accessed 2 Jan 2019. "Health Risks of Smoking Tobacco." Cancer.org. American Cancer Society, 15 Nov 2018. Accessed 2 Jan 2019.